I've been having some serious dessert cravings lately. For real. Like all good cravings, you eventually give in...which is why I have been doing some serious baking lately to satisfy my sweet tooth. Yesterday, I was browsing online for a really good cupcake recipe and stumbled across some yummy chocolate cupcakes from the 52 kitchen adventures website. Needless to say, I had to make them. 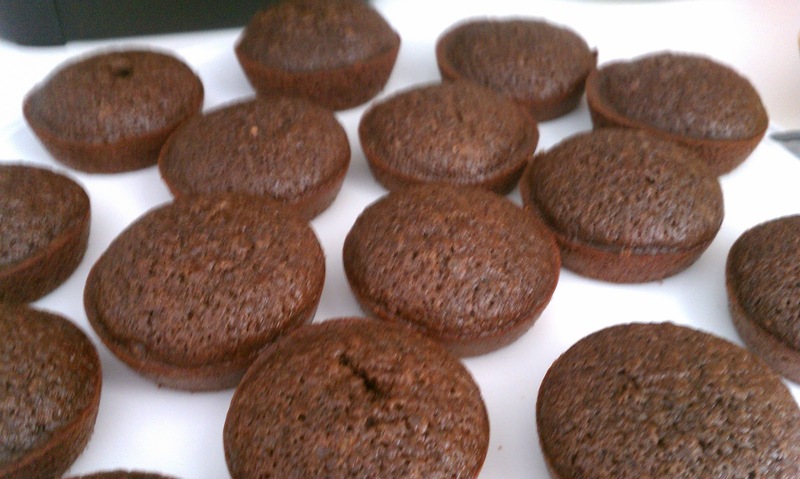 The cupcakes turned out pretty good, although a bit small but they more than make up for it with their spongy texture and deep chocolate flavor. Add to it some ganache and salted caramel buttercream frosting and you've got yourself a decadent little treat. 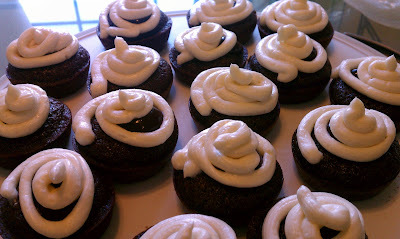 What I love most about these cupcakes is the perfect balance of deep chocolate and buttery sweet. The flavors mesh perfectly together, and the size of the cupcakes give you an excuse to have just one more. So it's a good thing I substituted some of the butter for applesauce in the cupcake part of this recipe, trying to throw a little bit of healthy in there, just to give me a few excuses as to why I need another cupcake....yep, I'm in trouble. 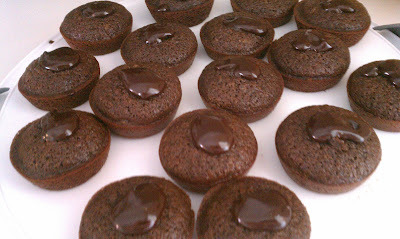 Preheat the oven to 350 degrees and spray two cupcake/muffin tins with nonstick cooking spray. Use a large mixing bowl to beat together the butter and sugar. Add the eggs one at a time and mix together. 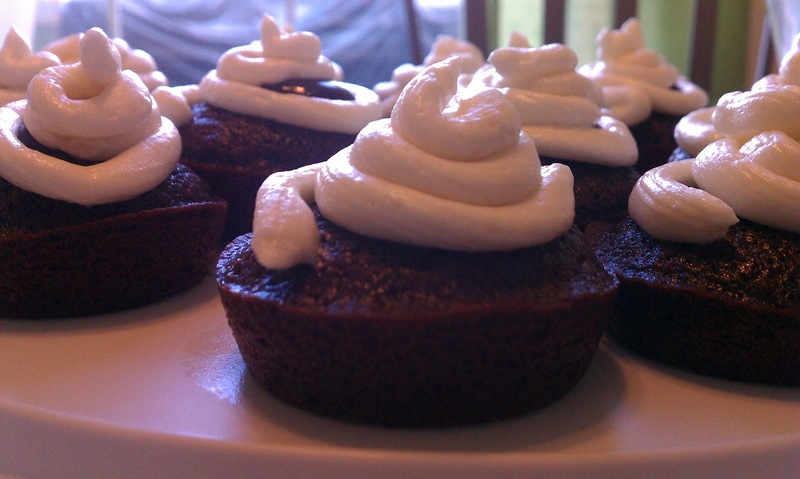 In a separate bowl, whisk together the flour, cocoa powder, baking powder, baking soda, and cinammon. In another separate bowl, mix together the milk and vanilla. Slowly add about 1/3 or so of the dry ingredients to the butter mixture, then add 1/2 the milk mixture. Alternate the dry and wet ingredients until all of the ingredients have been mixed together. Using a large spoon or small measuring cup, fill the cupcake tins up about halfway. Bake for 20-25 minutes, or until a toothpick inserted in center comes out clean. Makes 15-16 cupcakes. In a microwave safe bowl, melt together the chocolate chips and heavy cream on medium about 30 seconds or until fully melted. Make sure to stir every 15 seconds. Let chocolate cool. Make a slit with a butterknife in the center of each cupcake and using a pastry bag, fill the center with the chocolate ganache. The ganache should peek through the top. 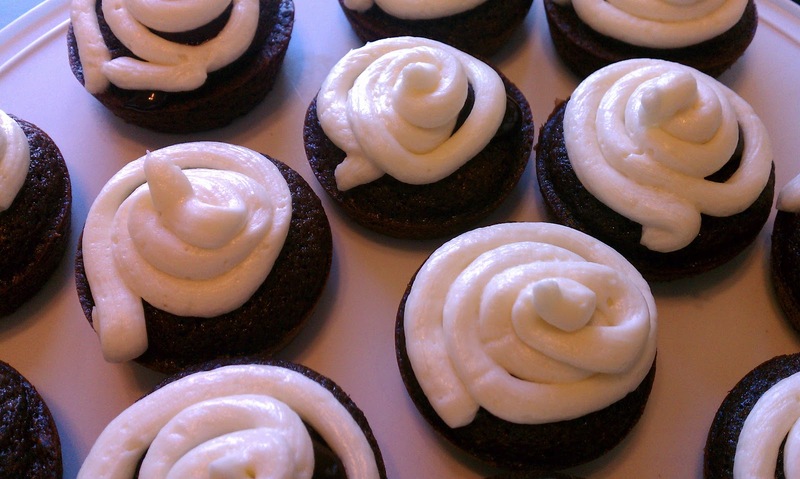 Refrigerate until the ganache hardens a bit so it's easier to frost the cupcakes with the buttercream. My first attempt at decorating cupcakes, they are pretty much a mess but I had fun!